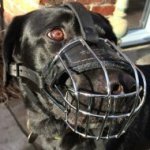 Is it Better to Choose a Dog Harness or a Collar? 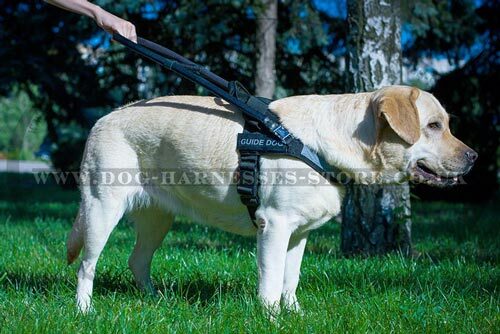 Within the last years we observe more and more dogs that are lead with assistance of a harness and formerly those dogs used to wear collars almost every time. 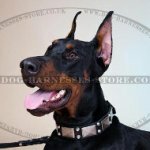 Therefore we are often asked to recommend a type of the dog collar. 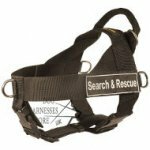 Our answer to this question is clear: only the harness! 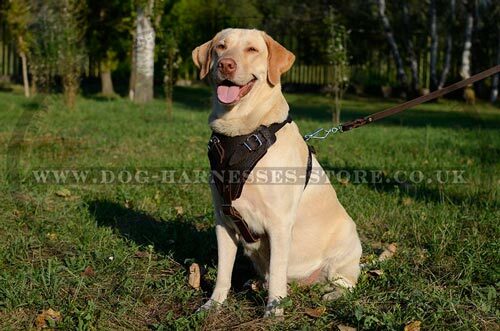 The harness protects health of the dog, especially its entire neck area from getting affected. As a result, the fragile cervical vertebrae, which are exposed to extreme stress, are preserved when wearing a collar, because not only spine may be affected, but any pressure or a shift may cause more continuous movement throughout the body, because the dog's body is bent. In addition, the trachea and the larynx are overloaded, so a drawing (or pulling!) made dog groan and cough. But this is not the only problem, because, like all state structures of the larynx, it is not simply free in the neck and throat area, but is embedded in a soft tissue. The most important soft tissue (unfortunately often overlooked in its function and importance) is the connective tissue and connective tissue structures linking our entire body. This leads to a long-range effect on the entire body when it is acted at one point. It is as if you pull a tablecloth: not only the part where we move, moves, but the rest of the cover. 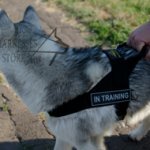 When dog owner jerks the leash or pulls the collar (up to a certain extent, but significantly attenuated, even when pulling in a harness), this means that the dog owner acts upon more distant tissue. 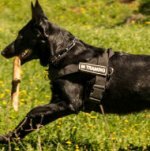 This tissue is (usually) not directly injured mechanically, but responds to stimuli (to jerk a leash - to train) with a neuro-reflex chain, sitting there in his numerous receptors that are responsible for responding to actions. That is why it is called a neuro-reflex loop. When it comes to unpleasant stimuli, the tension increases in the tissue, which continue along the connective tissue on and so acts to other structures. Since the connective tissue also surrounds nerves, blood vessels and lymphatic channels, a tension increase leads to a deterioration of the blood and lymph flow circulation and possibly to stimulation of the nervous tissue that can lead to the inflammation after that. Especially in the neck area, there are many delicate structures: the larynx that can be injured by a direct mechanical action, such as the leash jerk, situated a little further above the hyoid bone, which is also a sensitive muscles area of the larynx, the lower jaw, tongue, the breast bone, the pharynx and a cartilaginous connection that leads directly to the skull! Finally now it is clear that in addition the direct local effects and remote effects are expected during the manipulation of the collar, because the above-mentioned muscles run partly in the neck. Impacts on these muscles can lead to so-called wounding chains (tension to increase along the bound movement chains), they also increase the tension and subsequently structural damage in other tissues. In the area of the upper cervical joints a case of malfunctions as dizziness, nausea, blurred vision and even come tinnitus may appear. Other symptoms include disturbances in the upper cervical vertebra (C0-C2) the concentration and perception problems, nervousness, fatigue, problems with the jaw, eyes and ears and headaches. Among the symptoms of disorders of the lower cervical spine (C3-C7) one may observe lameness in the forelimbs. Often a change in posture can be observed when the head is carried low to avoid the pain. It is known that the most common disruptions in the cervical vertebra are dizziness and balance problems. In addition, there are the fascia (connective tissue also) connections to the thyroid and parathyroid. That is why the collar should not lie directly on the thyroid in order not to influence it. Furthermore a major vein runs in the jugular groove. There is a pressure built up by a collar, there is a venous back pressure into the skull leading to an increase in pressure and as a result to these headaches. Just in 2006 the study "Effects of the Application of Neck Pressure by a Collar or Harness on Intraocular Pressure in Dogs" was published, the results clearly show that dogs that wear collars are more prone to glaucoma and cataracts. Similarly, the study noted that in diseases of the eye, an increased IOP (intraocular pressure) is responsible that the wearing a collar can become fatal. Arteries, veins, cranial nerves, esophagus, trachea, lymph nodes and thyroid. The problem, however, is that their damage can not be seen as obvious as for example a broken leg. Dogs can't tell us if there is a pain in the neck. We can know it only from the symptoms: often dog can’t swallow, a slight slopes of the eyelid is seen or pupils are constricted. To understand above said symptoms properly, we suggest the following experiment: put a wide and soft collar on yourself, attach a leash and ask a friend to hold it while you set forward your center of gravity (1). The argument of many dog owners that their dogs never pull on the leash and therefore there is no danger, turns out to be always wrong, because even a well-trained dog is indeed not solely responsible for the leash, but is always dependent on the people in the other end of the leash, it is likely to happen at any time that he unconsciously plays around with the leash as the dog is lost in thought moves, because he has not noticed that this would remain as stand to urinate and so on and so forth. 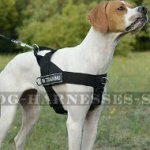 But besides the health aspects there are other reasons, why a harness should be used instead of a collar. 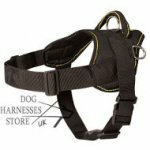 If your dog must be pulled out once in dangerous situation, you may do so stable with the harness easily without choking it. 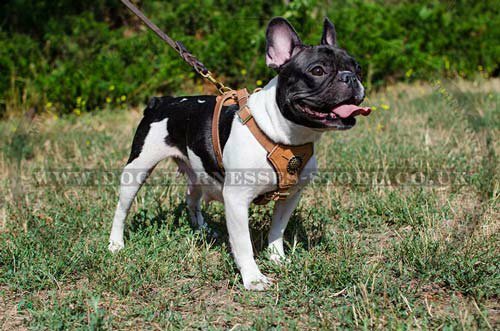 It is not possible in the collar, for example, to pull simply the dog out of a bay or river without being thereby inflicting damage to health. 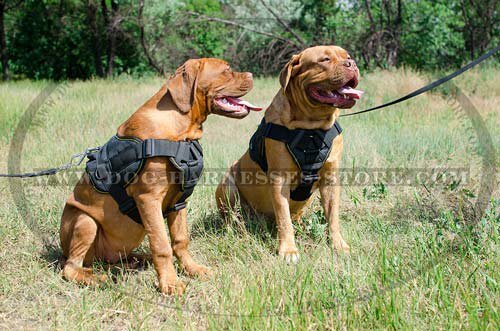 In dogs encounters that run with a certain tension, you can also use the harness much better than the collar, because in order to engage in this, you need coming from the top take in the neck of the dog, which can be quickly interpreted by the dog as an attack. This in its turn can cause from the heat of a battle to defense responses. 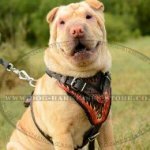 Furthermore, dogs learn among other things association, which means that it has a charm that they perform connection mentally with the feeling that they have at this time. 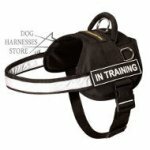 If you are together with another dog, a child or even your neighbors and your dog feels uncomfortable in the collar (e.g. it is difficult to breathe or it is painful, etc. ), the dog will associate the discomfort with this animal or person. Thus within a short time the aggression may arise, and the holder won't be able to explain it, but this aggression is due to this thought pattern. 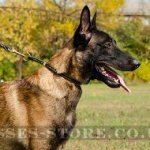 The resulting best-known form of aggression is the leash aggression, which is especially common among dogs that are working on the collar by the leash shift. Many dog experts stress that the neck of the dog is an important social destination for positive and negative strokes. 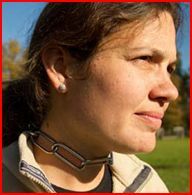 The sides of the dog neck are used for contact with close friends in trusting relationships, the neck and the throat are used as areas of classification. 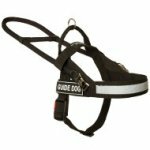 If we introduce the dog to more comfortable collar, it cannot prevent the wrong information flow through the leash to the dog. We cannot keep our hands so quiet that the leash sag stays always easy. Many dog owners think why their dog is unconscious by scrabbling around on a leash and plucking a mess to transmit signals and so he learns to ignore this soon. His "social receiving station" blunts and he learns that it is difficult to communicate with people! 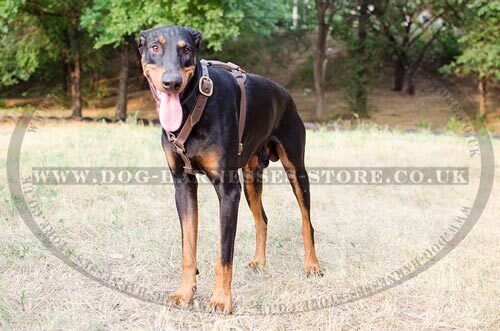 The body language of the dog that is drawn or pulled heavily on the leash is changing when he is out of the collar. The posture is provocative, because the neck is stretched upward. 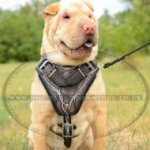 In some cases, the owners hold the leash even so tight that the dog will be undermined and literally stands on his hind legs that cannot happen if the harness is used. 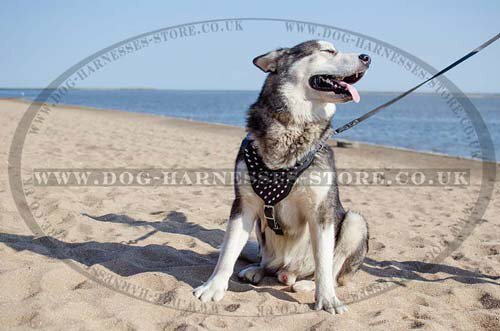 The dog wearing the harness is not at least pushed off the air and there is no risk of strangulation. 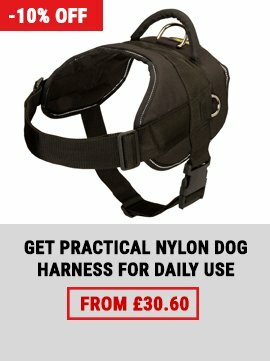 Many dogs, escaped with harnesses came back without! 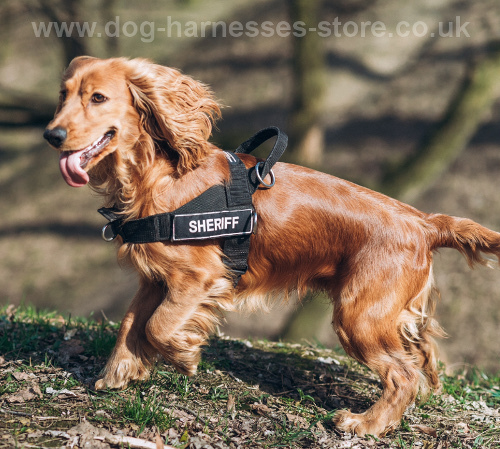 Some dog owners have a fear that if their dogs start wearing a harnesses after collars, they will be no longer under control. But this fears haven’t got any confirmation yet. The control over a dog is a matter of training and guidance technology and not of the pain and strength. Taking all these arguments into account, we find it essential to know today that our dogs should wear harnesses. 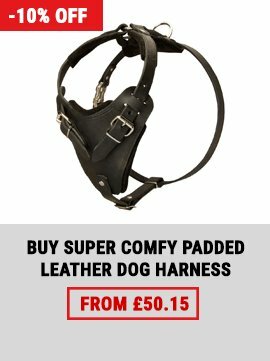 The material of the harness should be​ soft and cuddly. It must be washable, if your dog once circulates in something smelly. 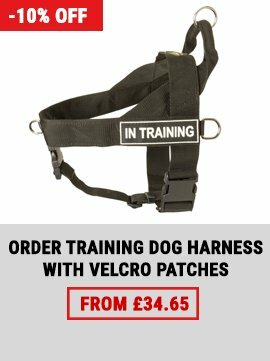 The harnesses should be open at all ends, so that it can be put off easily. Choose so that it is so stitched that the paw (s) must pass through on your dog, as for many dogs it is as a very unpleasant thing. The bar on the back should be firmly stitched so that the strap will not slip back and forth and thus there is no chafing on the body. Furthermore it should not be too short, because otherwise the entire harness will slip forward during wearing. 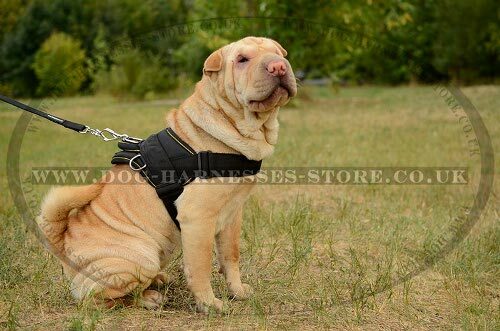 There should be a space between the bands, which run laterally across the body of the dog and the axilla must be with a wide space for medium and large dogs, because otherwise the entire harness rolls under the armpits. Such small dogs as Dackel and Chihuahua have a width ranging from one to two fingers. The bands, which the harnesses is made of​​, may not be too narrow, if the contact surface of the bands is not wide enough to shorten them. The buckles should be firm and rounded so that they can adapt to the body. 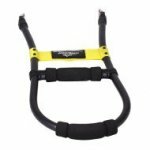 If you have created the harness, make sure that it is not too tight, otherwise it pushes painful on the spine. There should be enough space for your hand to slide under the harness. In that case you can be sure that it is properly seated. Place the harness so that it does not forward to push the breastbone. You should put off the harness during the night and for long stays at home. All rights reserved by Clarissa v. Reinhardt /Animal Learn. The copying and distribution of this text is extremely desired and allowed, but only in an unabridged form above and with the source mentioning.